El Grito Fiestas Patrias celebrates the independence of Mexico and other Latin American countries from Spain. As the Mexican President presents the nation’s traditional El Grito in Mexico City, so too will Portland commemorates Mexico’s independence at the Rose Quarter Commons. 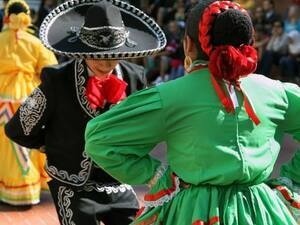 Join in for the most important holiday celebrated by the Hispanic community in Oregon! Entry is free for all and the celebration begins at 11 a.m. and continues until 11 p.m. In addition to folkloric and Aztec dancers, live mariachi, salsa, cumbia, and pop music, there will also be traditional food and beverages, community booths with interactive and educational materials, and the Mexican tradition known as El Grito de Independencia.